Atherectomy is a minimally invasive endovascular technique for removing plaque build-up from blood vessels in the heart and in other areas of the body. In catheter-directed atherectomy, an interventional radiologist uses a catheter to reach the site of the blockage and either cut, shave, sand or vaporize the clot with lasers. 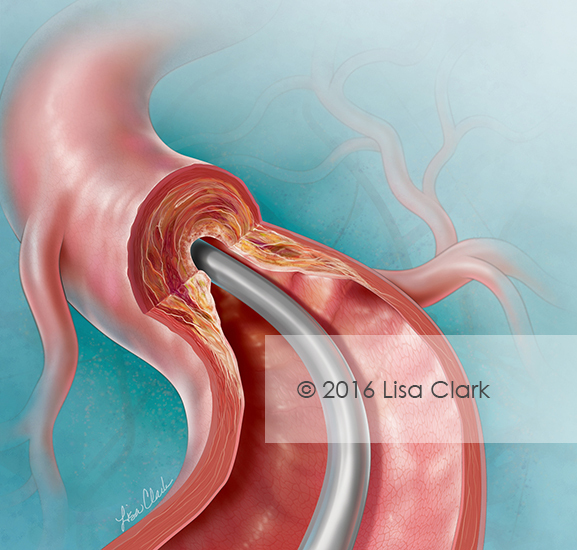 The post Catheter-Directed Atherectomy appeared first on Clark Medical Illustration.